My brother and I got the double on opening day. Since then, it has been less than stellar. I'd go with this one for 4 lbs less. Mature for sure. Minimum 4.5 yo but you can give it 1 or 2 more years. Taking a doe with a spotted fawn??? I also got my first tick of the year. That sucker got me in the navel. Grayling, Michigan for sure. I think the Alaskan was rgt or left handed. I heard about the pair that went on a straight line and caught right away. What was the owner thinking? In need of a new bow! I can imagine that smile will stay for a long time. Congrats on a fine buck and good recovery. Amigo was a 18 month old button buck last year? Here's my initial impression review. Did anybody from BB enter a dog? Rub Lines, The thinks I learned when I was 15 years old. Anyone try the NAP Killzone this pass season? How did they work out? I was happy to see the rain, but after many inches of rain in the last couple of weeks. I would go with the 44 mag. Just set her up close. 12-13-12: First Big Buck for my wall! I am having a hard time even getting my head around a near 90# flatty. Thats awsome. Looking for a club/lease near deridder la. I when and got the new Extreme Archery Raptor and man do I LOVE it!!!! What drives the trends with call makers? Money is the obvious answer. I have hunted more this year than I have hunted any year of my life! Man thats an awesome buck. Someone sent it to me on email. Hope you not mad for me posting this beast. I don't have the details on this deer. He is a GIANT. I did notice the LSU hat. This race turned out to be everything I hoped for and then some. Congrats John, way to get us started up! hey jug i got a 3buddies coming from kansas in march wanting to shoot hogs. i got deer or ducks p.m. I'm sorry for taking so long to post but life problems got in the way. Another track job gone right!!! I did all I could to prepare for opening day. . . .backpack check, gear check. . . .
8/28/11: Couple of "firsts" today! 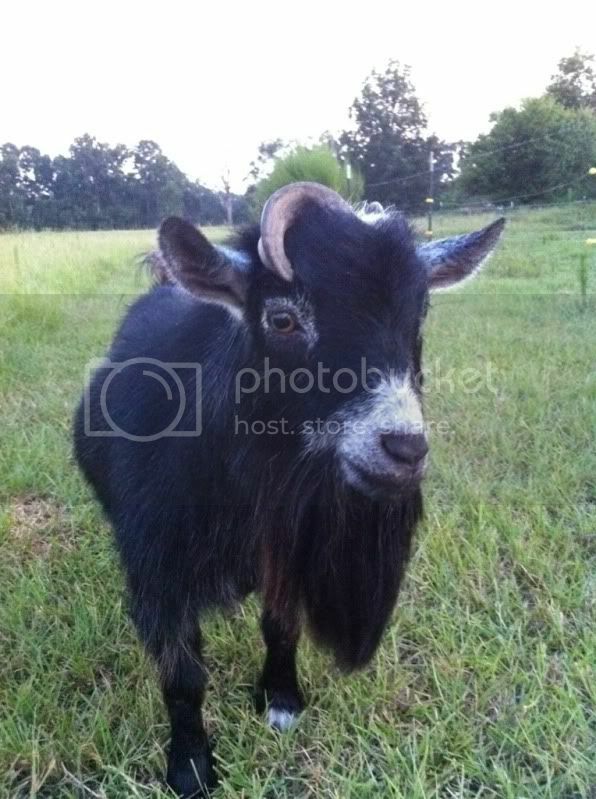 Got me a new pygmy goat! Hmmm?? I wonder who that could have been ? What is the most used helical type to fletch an arrow? Right? Straight? Or Left? Back on the trails for a 100. That was my pet that got loose. Dang, they killed it!!!! i think she sent her a facebook message! The town workers in leonville found this dead on the road. Welcome to the BB site! Do You Really Want to Video Your Hunt? Never did a blog..but was thinking about this and figured this would be a good place to put it. I am looking to jion a club near near spring bayou. I just purchased a camp on little river. How could you not think she is H O T!